To secure any appointment at Hairoom Salons, we may ask you to provide your valid credit card number, a valid gift card number, or a 50% holding deposit at the time of making your appointment. Without this, your appointment will not be confirmed and you may lose your appointment. If you wish to pay your holding deposit via direct deposit your appointment is not secured until funds are cleared in our account. We require 24hours notice if you need to cancel or reschedule your appointment. Failing to do so will forfeit any deposit or voucher. HAIRROOM SALONS PTY LTD and HAIRROOM SALONS MANAGEMENT PTY LTD (HAIRROOM) are the owners and responsible for promotions marketed by the group. Individual HAIRROOM SALON promotions are the responsibility and owned by that salon's owner and are identified by "Promotion of HAIRROOM SALONS . HAIRROOM (official) Facebook Friends may enter promotions, except employees, contractors or subcontractors to HAIRROOM Salons, HAIRROOM Management or any HAIRROOM Salon. Submissions/entries for promotions will be recieved at any HAIRROOM salon. Competition posts on any HAIRROOM Salon Facebook page will be accepted. 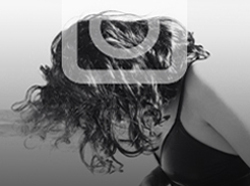 Any picture or video posts of you, your family, friends or submitted or made publically available by you are owned by HAIRROOM and may be used by it in the marketing or promotion of its services. Promotions hold an expiry date and they will be honoured. Any promotion identifying "$HAIRROOM Dollars" are not redeemable for any product e.g. hair care products like shampoo and only for dollars off services. $HAIRROOM Dollars were valid for redemption until 31 December 2012. Prizes or rewards for promotions are redeemable at any HAIRROOM Salon in Melbourne, Australia, unless otherwise specified. Prizes for promotions are limited to only services listed in HAIRROOM SERVICES Menu at the HAIRROOM Salon where the prize is being claimed, unless otherwise specified. Promotions (vouchers/flyers) may not be used in conjunction with any other HAIRROOM promotion. 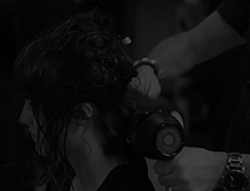 Promotions (vouchers) may be used for other HAIRROOM SALONS services and where there is a price increase difference, that will be payable by the person claiming the promotion. For HAIRROOM SALONS services claimed that are less than the amount of the Promotion (voucher), no cash difference or credit will be payable by HAIRROOM SALONS. Prizes or vouchers for promotions are non-transferrable nor redeemable for cash.